Start the presentation (PDF) with a click to the preform. For further information, please contact us. Contact. The Automation Steeg and Hoffmeyer GmbH has developed a fiber placement technology with a constant tool center point speed of up to 2 m/s. Two prototypes have been built and are available for demonstrations and production patterns in our factory. So that the automation could be successfully implemented, new solutions in the handling of the semi-finished fibers, drive technology, the control unit and weight reduction of the moving machine parts had to be combined. 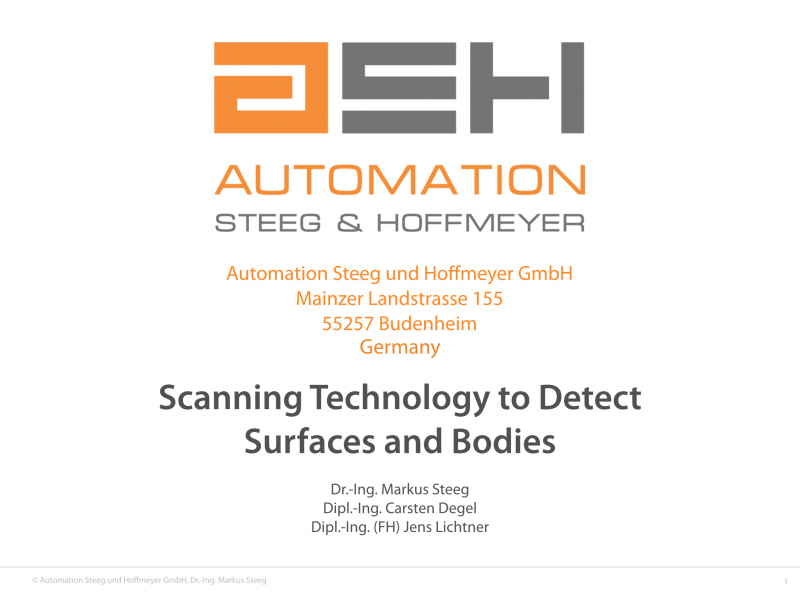 The Automation Steeg and Hoffmeyer GmbH thanks the Investment and Development Bank of Rhineland-Palatinate (ISB) for the care of the research and development project “F2-composite”. The project was supported in the EFRE-framework “Wachstum durch Innovation“ within the “InnoTop” program. Within the F2-Composite-Project we developed a technology to scan surfaces and bodies of FRPC. The technology is commonly used to detect certain quality parameters in a continuous production e.g. tapes. To start the video, please press the picture.